Intercom is a customer messaging software-as-a-service (SaaS) startup founded in 2011. Back then, in-app messaging and live chats with customers weren’t standard practice. They, in fact, made them standard practice, changing the way customers expected to communicate with businesses. It didn’t take long for the market to flood with similar products. This has put Intercom in an interesting position. They’re industry leaders, but more like the front-runners in a marathon in which everyone’s trying to finish first, requiring them to constantly sharpen their competitive edge. One of the ways they stay in the lead is through content marketing. 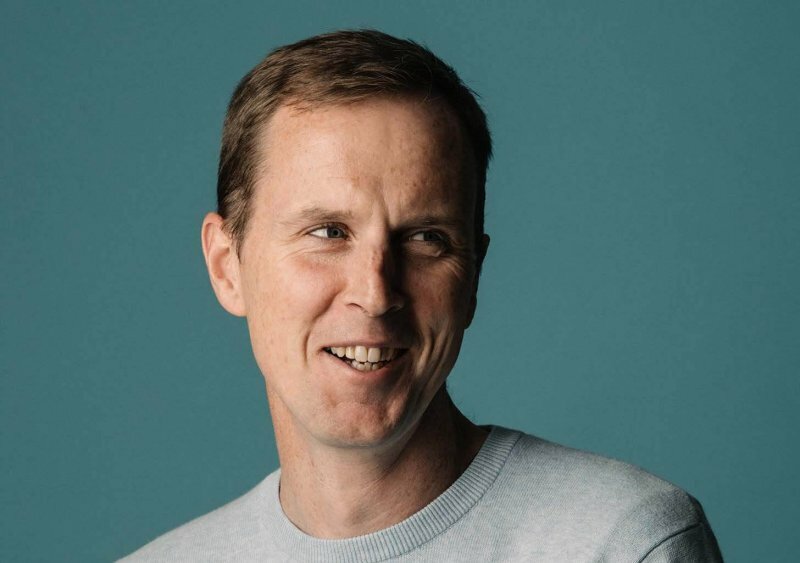 In this interview, Intercom’s Managing Editor, John Collins talks about how his background as a journalist informs his approach to content marketing, how Intercom’s messaging grew out of customer research and a napkin sketch, and how they’ve changed their marketing to help the company stay on top of a quickly-shifting marketplace. John Collins is the Managing Editor of Inside Intercom, a SaaS blog that blends content marketing with multimedia storytelling to draw leads in and support them as customers—all while differentiating Intercom against encroaching competitors with dash of old-fashioned journalism. Most businesses would hire a content marketer to spearhead their blog. In fact, most businesses do. But here’s the problem with doing the same things every other business does—you can’t stand out. At best, you can reach parity. Another hiccup of hiring marketers to do your writing work is that they’re trained to sell. They are not trained to tell stories. It’s a trend that’s sparked a re-thinking of marketing strategies across industries. For Intercom, it meant finding a fresh way to reach, teach and acquire customers through more “customer-centric” content (read: content that serves the customer rather than sells, but in so doing, helps to sell). But when every business blog is trying to hit the same target, educating customers isn’t enough to differentiate one blog from the next. Intercom needed to up the ante. They hired John Collins, a journalist with 20 years experience telling the stories of business and tech. And then John Collins learned marketing. This article on the Intercom Insider discusses how the ‘Jobs to be done’ approach works for the company. Give your post a blast-from-the-past vibe with these two templates, Vintage Typewriter LinkedIn Banner and Vintage Lightbulb Illustration General Linkedin Banner. John is the second longest serving person on Intercom’s marketing team, which means he was on the ground when their most important messaging decisions were being made, right alongside product development. “I think at that stage, we built a product that we found people were using and finding value with in all sorts of ways. We struggled with the messaging for that early on – one of our early taglines was ‘Simple, personal messaging for businesses and their customers’. “Jobs to be done” is an approach to understanding your target customer’s motivations, situation and desired outcome through conducting customer interviews. The basic premise is to ask customers to re-enact the jobs they need to do to expose more pain points and problems than simply asking them “So, what are you trying to do today? How do you usually do it?” Then developers – and marketers – can use their responses to create better products and more effective messaging. John says, “We’ve used it heavily on the product side of Intercom,” but they’ve also used it to give direction to content. Much of their early content was all about the “huge value that comes from sending people the right message at the right time, in the right place,” says John. 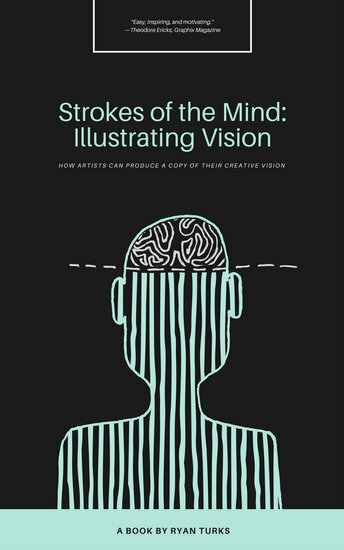 That single idea became their ‘editorial map’. We talked about customer support being about conversations, not tickets. What types of content, blog posts, and books can we produce to push out the message that this is a better approach? It worked. It worked so well that in-app messaging services sprang up like mushrooms after rain, and suddenly, Intercom had a lot of competition, and had lost one of their key differentiators. 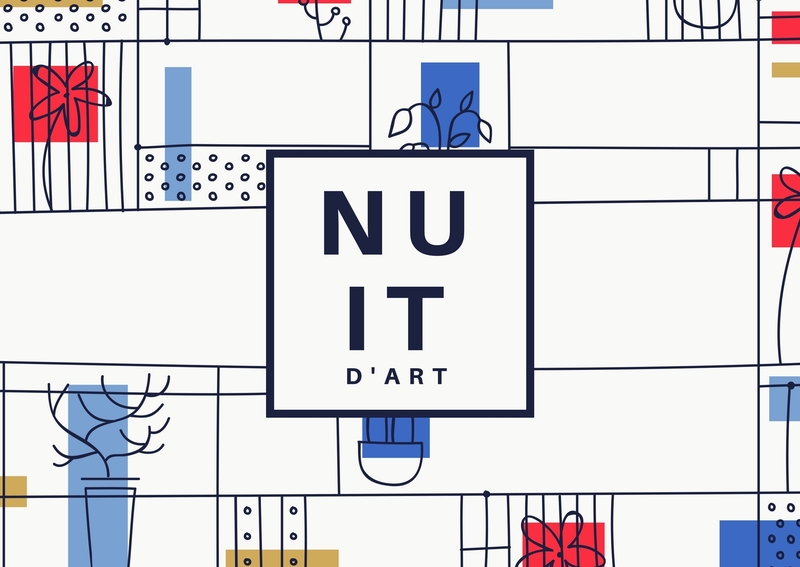 Intercom thought up a compelling and original way to present their value proposition – graphically. 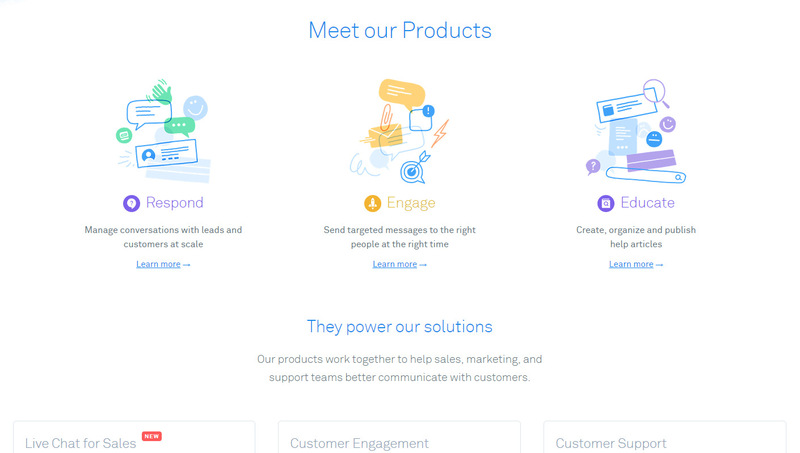 The Intercom homepage shows how they can help companies communicate with their customers. “On our home page, we have the old way and the new way, to show how Intercom helps and removes the need for a bunch of disparate systems that barely communicate with each other. We still have the napkin that was sketched on by our CEO. A screenshot of other businesses that appeared after Intercom’s success and follow a similar model. The old way versus the new way is one of those things that, once you’re aware of it, you start to see it everywhere. It’s another example of a great idea that may have started with Intercom, but has become something of a standard. What do you do when your “new way” becomes the established way that everyone does things? How can you differentiate when so many people have copied your differentiator? You keep improving your product—and talking about it. Intercom offers various products that help support teams communicate with customers. John Collins says their content marketing is very much dictated by what Intercom’s product teams are doing. Even though competitors are now also offering in-app messaging, John says they tend to focus on specific stages of the customer lifecycle, which is limiting in a way that Intercom’s capabilities aren’t. 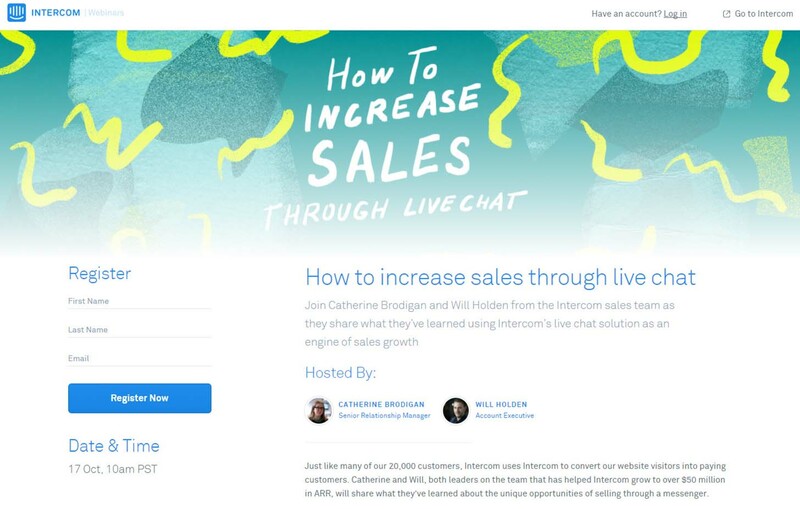 Intercom has expanded its capabilities considerably, like their new Live Chat for Sales solution, so building content around supporting Product’s innovations makes sense. But that isn’t to say Intercom’s content is all about what they’re selling—quite the opposite. Intercom’s Onboarding Starter Kit helps new customers from signed up to successful. Your best content deserves to get noticed. 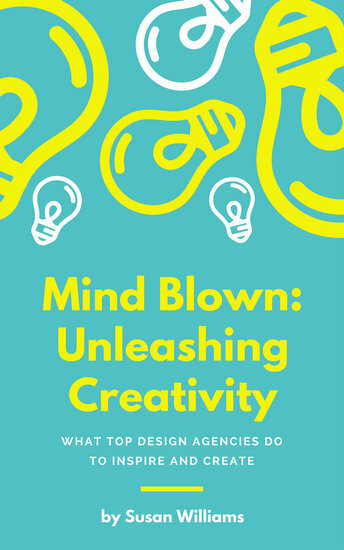 Try the White Graphic Design Book Cover or the Dark Grey and Teal Person Graphic Design Book Cover from Canva! 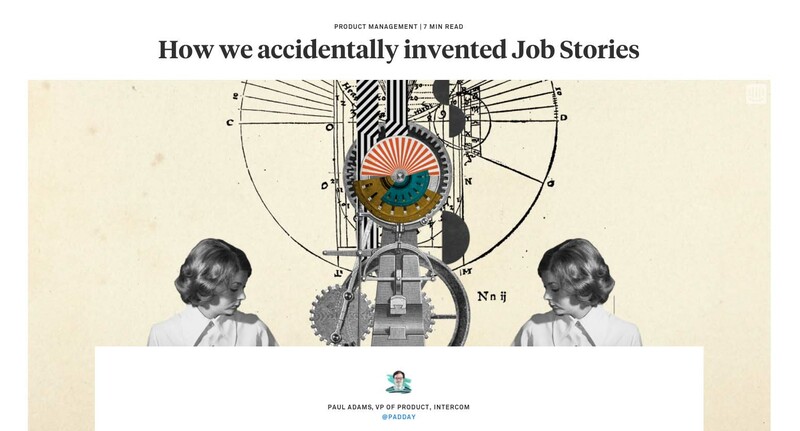 But, perhaps the most unusual aspect of Intercom’s content strategy is how much it resembles a standalone publication, with high quality, in-depth articles published daily. Visually, Inside Intercom is unmistakable. Nothing in the tech blogosphere has anything like it. It’s the difference between picking up a New Yorker magazine with its signature cartoons and illustrations, and flipping through stock photography. But you’ll also notice the variety of content present on the blog. There are articles, lengthier guides, ‘audio essays,’ and podcasts, all of which are scheduled deliberately. “We think very much at a high level. 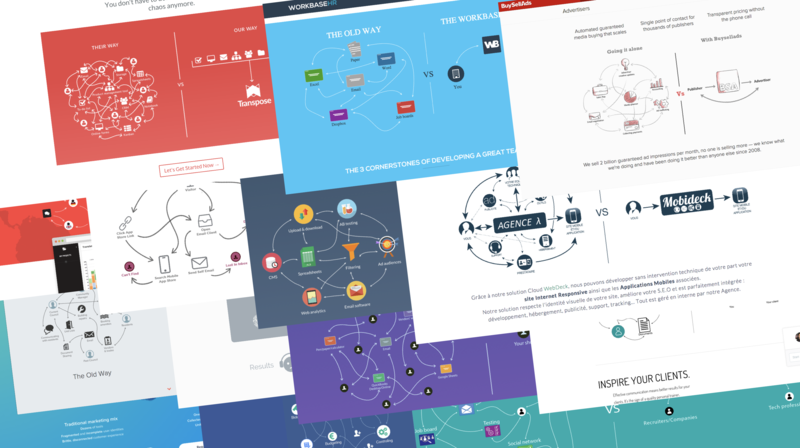 The key thing for running a content team is having a variety of material. We have a cadence to our week, on the blog we do podcasts on Thursdays; Monday, Tuesday, Wednesday we rotate between the different verticals we cover. Intercom hosts webinars that help customers increase sales using their platform. Mining their own expertise ensures fresh, genuinely insightful content, so Collins’ staff works with Intercom’s own product managers and designers, acting more as editors and brainstorm buddies than writers or interviewers. This isn’t just about creating content in multiple formats, it’s about spreading it through multiple channels, including the blog, podcasts, and republishing on Medium. Republishing content on Medium and having employees publish stories under their own names, is something more and more companies are doing to expand their audience outside the borders of their websites. Collins says Medium has a lot of potential for helping businesses reach their audiences. How can we serve people better? How can we stand out? Is the answer to build new products or add onto the old ones? Or is it to go back to basics? To tell better stories, offer deeper insights, deliver more transparency, honesty and human-to-human connection. For Intercom, a business based on delivering human-to-human connection, they’re not settling for anything less than both. The post Not just another content marketing plan: Intercom’s tips for standing out in a crowded market appeared first on Learn.